Welcome to Vytautas Shaltenis' homepage! Hello, web surfer! And welcome to my piece of the Web. My name is Vytautas Shaltenis. 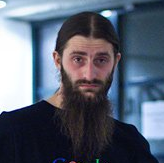 I am a professional computer programmer, father, militant atheist, wannabee hacker, wannabee writer and a good slacker. My main interests lie in multiple fields of programming. I also like reading, hiking and kayaking. I have obtained my bachelor degree in computer science in Faculty of Mathematics and Informatics at Vilnius University. Here is my CV in case you are interested. Here is my blog. It's all Lithuanian and all technical(-ish) and very likely to stay such. If you are interested in how I look for some reason, that's me. I used to have a "News" section on this page. I guess it got obsoleted by the modern age (micro-) blogging, so I no longer maintain it. But here it is for historical integrity. This piece of the Web is dedicated for those sharing the interests with me, mostly the IT-related ones. I try to keep it's contents up to date with my current projects, writings and other stuff that might be interesting, useful or just amusing to others. Here you will find a (never complete) list of my projects, links to stuff I am interested in, files that I am willing to share with people and similar things. You are welcome to contact me via email (vytas@rtfb.lt). I am often reachable on IRC as `rtfb' at irc.freenode.net (mostly on the #ubuntu-lt channel). I also (mostly re-) tweet.